Introverts may not celebrate the holidays the way extroverts do, but they celebrate them in their own quiet way from the comfort of their own home. 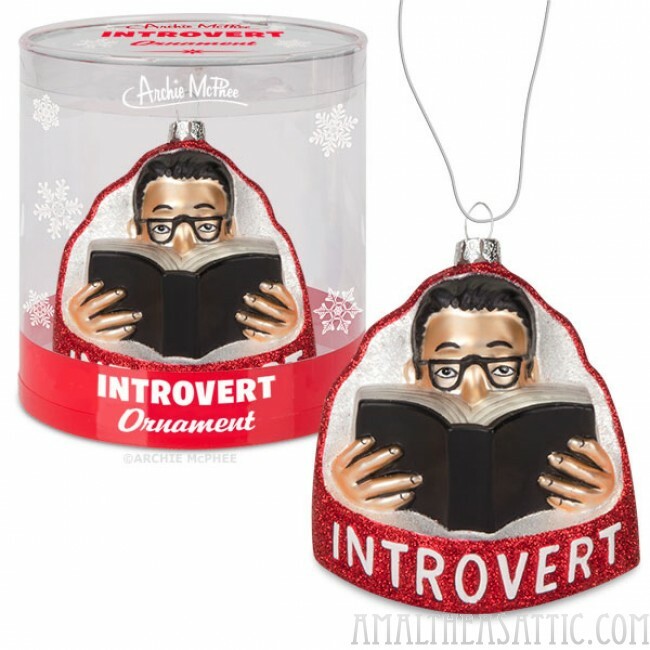 This Introvert Ornament is the perfect way to make a private person feel included around the tree without any of the unnecessary showiness of most ornaments. 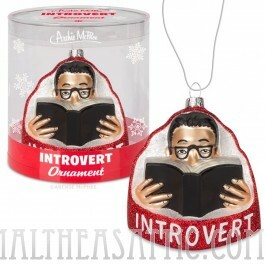 This glass introvert peering over a book is 3-5/8" (9.2 cm) tall and includes string or can stand on its own. Illustrated acetate tube.